This book sets out from the question: why have so many western theatre workers come to India and what were they looking for? What is it that seemed to be lacking in western performance and understanding of the nature and function of theatre? 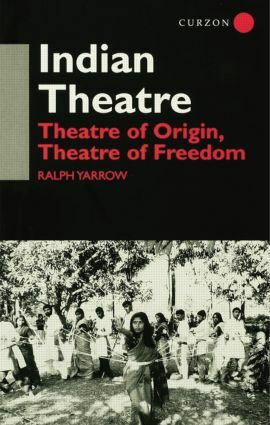 Locating Indian theatre as a major site of reappraisal and renewal both in India and in the world of performance, the book presents both a picture of traditional and contemporary theatre in India and an examination of its processes and practice. This study questions the generative processes which impel theatre, the 'transformation' of individuals and groups through performance and the performative dynamics of 'self' and 'other'.